Outpatient Service - Monarch, Inc.
For men, women, and children who are seeking services for behavioral health and/or substabce abuse. To provide hope, healing, inspiration, and alternative ways of living, to men, women, and children whose life has been affected by mental illness and/or addiction. It is the Philosophy of MONARCH, Inc. Outpatient program to assist persons with developing and maintaining coping skills that facilitate adjustment and integration within their living environments and community. Persons served and their family members are empowered to make decisions about their care with the expected outcome of an increased quality of life. 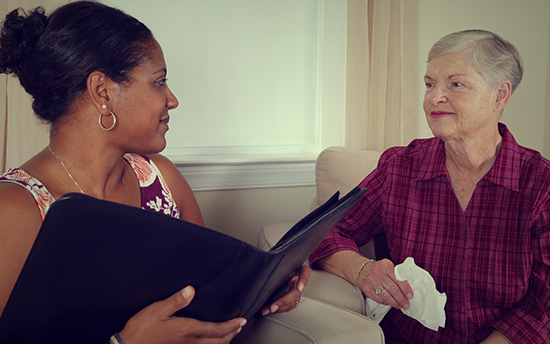 MONARCH, Inc. Outpatient Services provide a continuum of care that ensures all persons served and family members referred are evaluated and provided services and/or referred to primary and secondary service providers to meet their individual needs. Services can be provided in an office, home, or school-based setting at hours that are tailored to the clients needs. MONARCH, Inc. Outpatient Services accepts Medicaid as well as private pay. Outpatient mental health services require Individual and/or Family Therapy to be provided in regularly scheduled sessions.